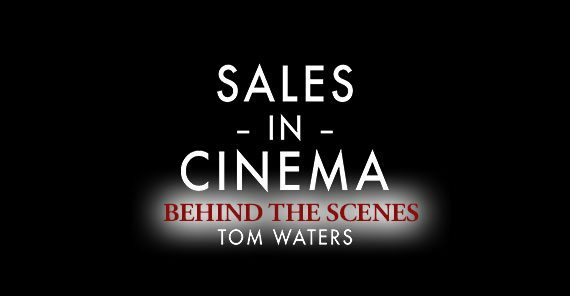 If you haven’t seen it yet, click here to view our second episode of Sales in Cinema! This blog post is a supplement to the topics outlined on our YouTube channel. What can happen when we stop caring about social expectations? I chose this movie for our second episode in order to showcase that there are hidden lessons everywhere. The movie “Office Space” is designed to subvert and satirize the modern corporate world. I fully embrace the irony of using it as an example for career advancement. 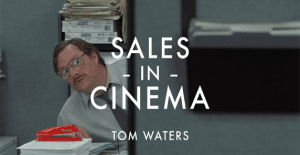 The movie’s director Mike Judge explores themes of breaking social expectations, soul crushing corporate monotony, and being true to yourself. We examine how the movie’s anti-hero, Peter Gibbons, demonstrates essential traits of a persuasive argument. Peter’s disregard for social protocol is the most exciting part of the movie. His success is inadvertent but there’s something profound in this story. There is beauty in going against the flow and shaking off the chains of what’s expected. The corporate climate is designed to minimize risk. It privileges standardization over creativity, protocol over innovation. As a result, it has become an epidemic at the enterprise level. It’s something you see all the time; as companies get bigger, they seek to protect their success. They impose rules, procedures, and in doing so they often end up destroying the climate of innovation and creativity that brought them success in the first place. This trickles down into the day-to-day mentality of all employees, and soon your company culture has become designed to do one thing: maintain the status quo. Lack of Rapport – No confidence and a pessimistic attitude leads to an adversarial relationship with those you wish to persuade. No rapport means no influence which means no effective communication. Personal Rapport – Personal Rapport building is helpful in persuasion but can be tricky if it is forced or faked. To find a common ground that you are truly passionate is important because it leads to a level playing field which helps in persuasion. Forcing camaraderie or faking an interest will be quickly dismissed and, at worst, be met with hostility. Professional Rapport – Demonstrating experience by showing awareness of uncomfortable truths, important needs, or common goals, will launch an interest in what you have to say. If you your research, learn your audience, and execute with confidence, you will be seen as an expert and be sought for solutions. Confidence is king – Peter just stopped caring about what other people think and it made them that much more interested in what he had to say. Different is better than better – Peter wasn’t particularly skilled at his job but his refreshing honesty helped him stand apart from his peers at the office. Identify problems to create opportunity – By displaying awareness of the company’s problems, Peter set himself up as the means to a solution.